Harrisburg, PA – The Pennsylvania Pharmacists Association (PPA) recently awarded the late Thomas J. Mattei with the Bowl of Hygeia Award sponsored by the American Pharmacists Association Foundation and the National Alliance of State Pharmacy Associations (NASPA) with support from Boehringer Ingelheim, during PPA's 2015 Annual Conference held at the Holiday Inn Harrisburg-Hershey on October 3, 2015, in Grantville, PA. The Bowl of Hygeia Award is granted to a Pennsylvania pharmacist who has demonstrated sustained commitment to community service, apart from his or her specific identification as a pharmacist, which reflects well on the profession of pharmacy. The Bowl of Hygeia Award is the highest honor bestowed by a state pharmacy association. 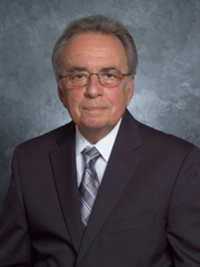 Mattei is a 1970 graduate of Duquesne University Mylan School of Pharmacy. Currently, he is a full-time faculty member at the Duquesne University Mylan School of Pharmacy. Mattei began his career as a clinical pharmacist at The Mercy Hospital of Pittsburgh and quickly moved his way up to Director of Ambulatory Pharmacy Services from 1971-1972. By 1980, Mattei was named as the Director of Pharmacy for The Mercy Hospital. His accomplishments and commitment to the community eventually led to him being appointed as Chief Operating Officer of The Mercy Hospital and Mercy Providence Hospital from 1997-1999 and eventually Vice-President of Operations at The Mercy Hospital from 1999-2000. In 2007, Mattei was appointed as Associate Dean of Duquesne University Mylan School of Pharmacy and has since stepped down to become a full-time faculty member, as a transition in his career. Mattei is involved in countless organizations and committees for the Duquesne University Mylan School of Pharmacy. In addition, Mattei has always been involved in community-based programs and helping the underserved communities of Pittsburgh, PA. This past fall, Duquesne University was one of three finalists by the American Association of Colleges of Pharmacy for the Lawrence C. Weaver Transformative Community Service Award, which "demonstrates a major institutional commitment to addressing unmet community needs through education, practice, and research." He was awarded the Community Appreciation Integrity Award in 2012 for his support contributed to the Bethlehem Haven, a homeless shelter for women. Mattei was also primarily responsible for the development of the School of Pharmacy Center for Pharmacy Services, a university sponsored community pharmacy which has received a $225,000 grant from McKesson. He has also received numerous other grants for his community work throughout Pittsburgh. When he isn't helping the community or performing his duties as a faculty member, Mattei serves as a coach for the Rosslyn Farms Soccer team and on the advisory board of multiple organizations and churches throughout the Pittsburgh area. The following comments were offered by one of Duquesne's recent graduates: "I will always remember Dr. Mattei standing on the loading dock outside of the Bayer Learning Center and how friendly he was when I'd talk to him there (I will also never forget how terrified I was of him when I got in trouble for arguing with a professor.) In all of my interactions with him, he was always an honorable man. I always had the impression that he was a true old school man, a Frank Sinatra-esque person. Someone that was tough but fair, kind but didn't put up with the BS, and truly wanted the best for his students. He was a true asset to the program and I know Duquesne won't be the same without him."